There is nothing quite like a handcrafted Persian rug to add a touch of beauty to any home – although they look particularly stunning in period homes. Imagine entering a beautiful Victorian tiled hallway to find a deep blue Persian rug waiting for you, with its soft handwoven fibers and traditional appeal – there’s nothing better! That said, Persian rugs are not limited to beautiful, expensive homes. Placed well in your house – no matter how modest – and a rug will always add that extra little something special to your home. Persian vintage rugs might be expensive – but think about what you’re paying for. Each rug is handwoven using the finest wool, and each rug is therefore completely unique. You are paying for a piece of craftsmanship that will enhance the beauty and character of your home – and if you’ve spent time and money redecorating your home to a high standard the last thing you want is to ruin the whole look with a cheap rug! Persian rugs add a touch of softness and warmth to any room, especially rooms with stripped wooden floors, floor to ceiling windows and high ceilings. These rooms need a cozy touch to ensure they don’t feel cold and unwelcoming, particularly in the winter months. By adding a large central Persian rug or two smaller rugs which complement each other, you can be sure that your room will be a welcoming and warm year round. One thing to remember though: if you have a pet, be warned. It won’t long until your brand new pride and joy becomes their brand new bed! The type of Persian rug you choose expresses not only your unique style but also your personality. 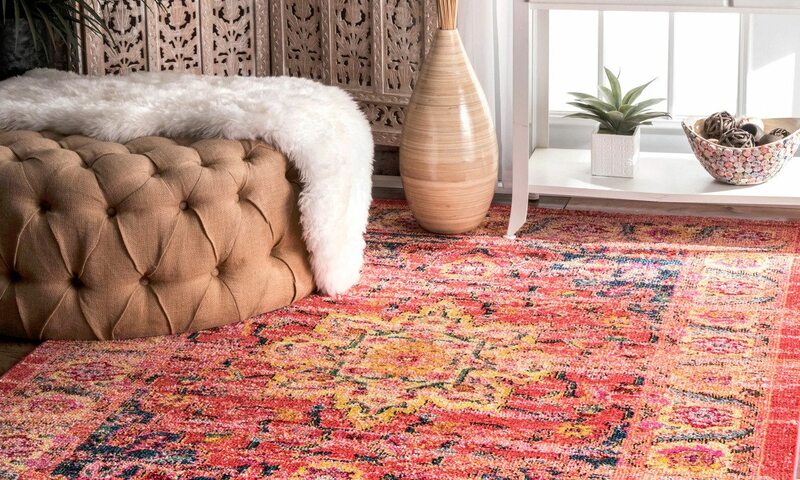 Whilst most popular rugs are deep colors such as ruby red and royal blue, it is also possible to find rugs which are vibrantly colored, thanks to the hand dying method that is used for these rugs. Vivid ochre, vibrant green, and bright orange are all popular amongst modern ranges, and these can add a bohemian look to your period property. Buddhist colors of deep purple, red and orange create a warm and calming feel and are ideal set against dark wood floors and neutral walls. Of course, the color and style of Persian rug you choose is entirely a personal decision. It’s a good idea to opt for a large rug in smaller rooms – by picking one that extends almost to the edges of the floor it will make small spaces seem larger. In a large room you can mix and match to your heart’s desire; either choosing one large rug or several small ones – but always ensure that you affix non-slip grips to the backs of any rugs on laminate or wooden flooring to prevent nasty accidents. Whilst Persian rugs are fairly heavy and durable, they can still move and slip on shiny surfaces. Add some Persian style to your period property today!